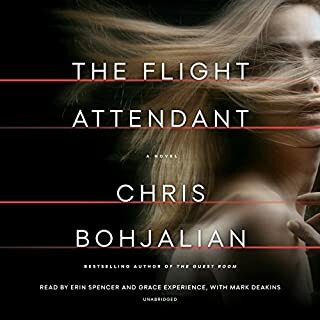 Would you consider the audio edition of The Flight Attendant to be better than the print version? I wouldn't know as I have not read it in print. What was one of the most memorable moments of The Flight Attendant? It would be a tad spoiler-ish but suffice it to say it was close to the end and I did not see it coming. When she's more than just your flight attendant. I am a fan of this author and this book truly doesn't disappoint! Great pace, well-crafted characters, and a killer twist at the end. The ending...too predictable and slightly confusing. While the twists in the set-up were entertaining and well-crafted, the ending truly ruined it for me. Predictable, cliched, and yet somehow also confusing with regard to motivation. The surprise twist did it for me. Addison--he was, truly, an innocent and understanding the true nature of him made the story work for me. My first real intro to this author, even though I keep getting him suggested to me since I'm a Stephen King fan was...interesting. 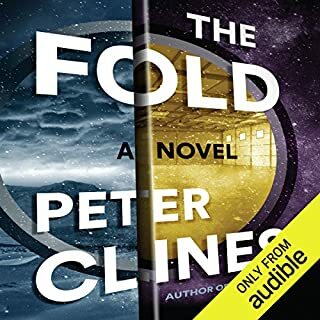 The audio book was on sale so I snagged it as I was 100% intrigued by the premise. 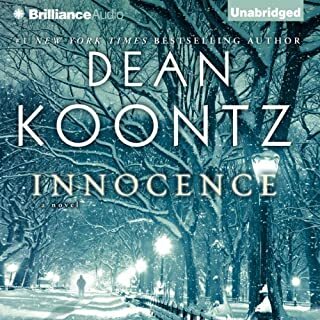 The narrator was very good and the story held my interest all the way through. The concept of the ending was, to my practical mind, far fetched but also begs a sequel which is the sign of a well-structured plot. The "twist" (i.e. the actual nature of the protagonists) was excellent and turned what would have been a 3-star experience into a 4-star one for me. I'd recommend this audio book to you if you enjoy fantasy with a side dose of religion and seriously downplayed apocalypse as its premise. Would you consider the audio edition of The Force to be better than the print version? 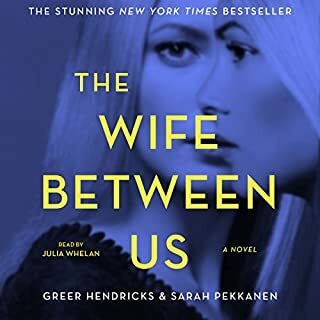 Since I haven't read the print version, I can't say but it was one of the most amazing audio book experiences I've had. The fact that no one is perfect. But that's what Winslow does best--create a set of characters that you love, hate, want to hug, or punch in the face. I found myself screaming into thin air as I listened, cheering, jeering, willing what I new damn well was coming NOT to happen. A depth of talent with accents and an understanding of pacing that's crucial in a story like this. When we got the "back story" about why Denny wanted to kill Pena--the way he tried to bring him down in other ways, but was ultimately thwarted by the very system that he both hated, and thrived within. 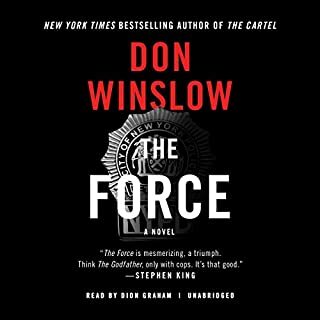 I've either read or listened to every single book this author has written and feel like he's hit his stride between CARTEL and The Force. I adore his work and believe that he deserves all the kudos coming his way for this novel. If you could sum up A Little Life in three words, what would they be? What other book might you compare A Little Life to and why? The Goldfinch for complexity, length and narrative style. How to begin....at first, I'll admit I downloaded this on audible because of its length. I really love a meaty narrative (The Goldfinch will always remain one of my favorites for this reason). I also love deep, 3-dimensional characters and there is really is no better way to get to know characters than via 700 or so pages (or, in my case 30 hours or so of listening). But this book....well, let's just say it begins one way: introducing a set of 4 male friends from a nameless "college" in Cambridge. Two of them are introduced right away and I made assumptions about them--assumptions that played out long about hour 18 or 20. The other 2 appear to peripheral. Except that the author then launches into lovely, in-depth descriptions of each of their lives...all but one of them. So we get 3rd person POVs from Malcom, JB, and Willem--their backgrounds, motivations, families. All the while the 4th friend--Jude St. Francis--remains a mystery, a cypher, obviously the One With The Dysfunctional Background but other than that one fact, he serves as a foil to the other 3 men. At this stage, I considered the book a 3-star listen--enjoyable, but likely forgettable. Definitely something I could unplug from and go about my business without. Then, something happened--we switch to a narrative from one of Jude's professors, Harold, which changes gears from focus on the other men to just one: Jude. I loved Harold's voice, perspective and insight so my star rating went up. Then, something else happened. We got to hear from Jude himself-- not as a grown man but a boy, a small boy, a "foundling" left on the steps of a monastery of monsters. This kid...well, suffice it to say his personality is formed out of ugliness, hate, and the worst sort of evil. Thankfully, the ugliness of his background is released a little at a time, juxtaposed around scenes of his life as an adult--happy scenes, successful scenes (he's adopted, he's a successful attorney who joins a Big Time Firm and makes serious bank as a ball-breaking litigator on behalf of Big Pharma, mostly), scenes of love and friendship. But in spite of all this, he refuses to accept that he's worthy of any of it. He absolutely REFUSES...to the point of self-harm, this in spite of the fact that his spine and legs are already more or less ruined thanks to one of the sadistic bastards who had hold of him as a pre-teen boy. The deep dive psychology of Jude St. Francis (which would make a better title, IMO) is brutal, agonizing, train-wreck mesmerizing. And this is thanks to the deft skill of this author. I'm not a fan of her overuse of pronouns. There are many times when I had to stop the audio, rewind and figure out which "he" was "he." I have at least three editors myself who would never have allowed that! But I read something about the book (something awful, and spoiler-ish that I wish I had NOT read but there you go) that said Ms. Yanagihara wrote this doorstop of a tome in something like 6 weeks. Which is something I totally identify with. I'm a marathon writer myself and I respect the hell of that style. Especially when it results in something as utterly mind blowing as this book. I was up to 4 stars. But once Jude gets his ultimate (what we in romance biz call) "HEA," in a loving, romantic partnership with his oldest, best friend (see above: foreshadowing in the very first scene), I still had something like 8 hours to go. And there were still a few missing pieces of his background puzzle. Pieces I wanted, but not, at the same time. I appreciate that the editor of his book left it as it was. The narrational/conversational style made its more brutal sections much easier (and yet, at the same time, harder) to digest. Even the, at times, unbelievable nature of Jude's long years of abuse (seriously, did no one notice this kid except predators?) were made somehow palatable (but yet not...do you see where I'm going here?) by the casual, "Oh by the way THIS..." nature of the author's narrative style. ....um....fall-out in Jude's life. This was really the only point where I thought "Ok, ok, enough already." But only briefly! 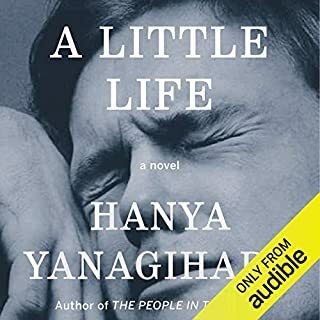 A Little Life proves something to me, as both a reader and a writer--that there are not always perfect happy endings, no matter how much they may be deserved in the karmic universe. But there are beautiful friendships, wonderful moments in time, simple, yet fabulous excuses to be happy you are alive. Jude is not allowed to be truly happy, not ever, no matter how perfectly funded (these guys are stinking rich but they earned it), wonderfully travelled (one thing I want to do someday), and happily coupled-up he seems to be. He's a ruined soul, and he stays that way. 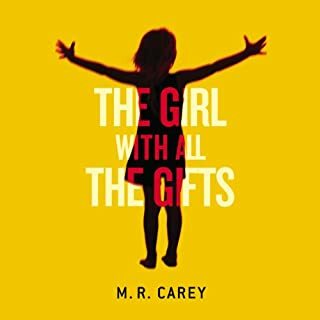 But this book....how to end....it's beautiful, lyrical, inspiring, awful, horrific, scream-worthy, amazing, rich in characterization and point of views, that will leave you rung out, exhausted, numb, and happy you made the effort to read (or in my case, listen) to it. 5++ stars. 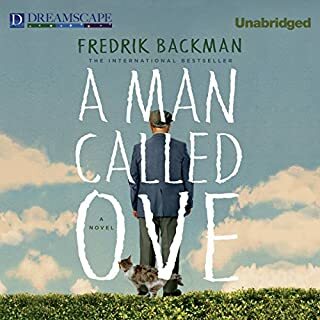 With 10 stars to the unbelievable narration by Oliver Wyman who channeled every character with extreme nuance and talent, making the experience that much more cry-worthy. 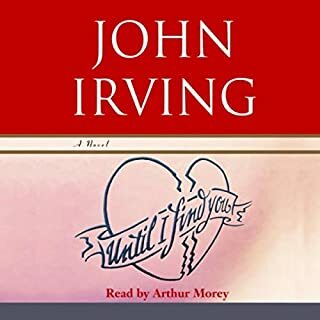 John Irving returns to the themes that established him as one of our most admired and beloved authors in this absorbing novel of fate and memory. As we grow older - most of all, in what we remember and what we dream - we live in the past. Sometimes we live more vividly in the past than in the present. As an older man, Juan Diego will take a trip to the Philippines, but what travels with him are his dreams and memories; he is most alive in his childhood and early adolescence in Mexico. Irving Out of the Park! As with most of Mr Irving's recent novels this one rambles on a bit and leaves a few too many unanswered questions for my taste but I am a big fan of his and found it entertaining enough to keep listening. The narrator is superb. The second book by this author that has reduced me to tears of sadness and simultaneous joy. Ove is a grumpy old guy. We all have had one in our lives at one time or another. But this man's heart, shattered by events that would have reduced a lesser, possibly BMW or Audi driving man, to useless goo is indeed too large. Prepare to be entertained and overjoyed by this listening experience. This book is something else altogether. Highly scientific in its approach it pits the remaining human world against a rapidly mutating fungus, but in the most creative way possible. A delight to listen to thanks to the narrator. Super creative and fast paced. A great listen to pass a week on the beach. When he is four years old, Jack travels with his mother Alice, a tattoo artist, to several North Sea ports in search of his father, William Burns. From Copenhagen to Amsterdam, William, a brilliant church organist and profligate womanizer, is always a step ahead, has always just departed in a wave of scandal, with a new tattoo somewhere on his body from a local master or "scratcher". 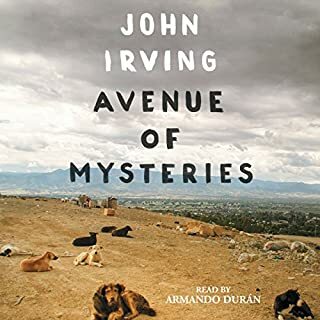 John Irving is a story telling genius but while I enjoyed the narrator very much the narrative rambled way too much even for me a rabid fan of this author.